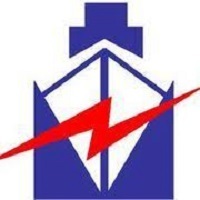 (i) Established in 1978, Marine Electricals is an integrated technical services provider in the fields of Electrical, Automation, and Information and Communication technology solutions in diversified areas like Ship Building and Ship repair for Navy and Commercial Vessels/ Industries and Buildings / Renewables EPC. (ii) Marine Electricals offers integrated and multidisciplinary total solutions that lead to better business processes and more efficiency for customers. Marine Electricals also offers solutions that contribute towards a sustainable society. (iii) They provide a solution in Low Voltage, Medium Voltage and Industrial Automation backed by In-house Product Design & Development, Manufacturing, Installations and after sale service. The Company has business relationships with global electrical players like Schneider Electric, Siemens, GE. Such strategic tie-ups give us the competitive edge over our competitors. Further, they have entered into an agreement with NLC India Limited to provide Solar Power Evacuation system, thus venturing into the renewable energy segment. (iv) With over 39 years’ expertise, they are one of the largest suppliers of Electrical & Automation Equipment for Marine Applications in India and Middle East Markets, and also the fastest growing supplier of Low and Medium Voltage Electrical Equipment for Industrial applications in India. So in nutshell it is concluded that do not apply in any IPO due to bad market condition. Even, if you want to invest then atleast wait for share to list and then buy as chances of discount listing is very high. Pl don’t apply open in any sme only seeing grey subject to rates.only.people think some time ki subject to deals chal rahe hain to ye to upper hi list hoga. The rise of 30% in Inventory, 67% of Trade Receivables, and 139% in Advances in FY18 as compared to FY17 is a sign of worry just before the IPO. The issue size is big. Sentiment in the market is poor else sure shot listing gain was there in this company based on pricing of this IPO. The issue is fairly priced seeing market mood but will it attract investor interest is quite interesting to see tomorrow. Conclusion: The Valuation in terms of EV/EBITDA and Mcap/Sales looks quite reasonable. Conclusion: The valuation is fairly priced. (i) The company has shown a decent Revenue growth of 15.66% in the last 5 years. The Revenue has gone up from 214 Cr to 383 Cr in the same period. (ii) The company has shown a timid PAT growth of 3.41% in the last 5 years. The PAT has gone up from 14 Cr to 16 Cr in the same period. (iii) The EBITDA Margins over the years have gone down from 10% in FY14 to 8% in FY18 in the last 5 years. (iv) The Receivables days have also gone up from 60 days in FY14 to 175 Days in FY18.